According to SEO expert Patrick Hathaway, SEO is the art and science of connecting people to website content, through the medium of a search engine. Good SEO comes from a deep understanding of what potential audience members want to find on the internet, and how to deliver content that fits this need, aligned with a technical setup that enables search engines to recognise that your content is a good fit for their users. 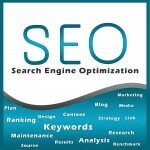 As a strategy, SEO is one of the best tactics in terms of scalable, long-term results. As long as your website or articles are ranking in Google for relevant search queries, you’ll receive consistent, organic search traffic. This intensive 3-hours workshop will cover advanced SEO and content marketing strategies you can apply to your existing business right away. By the end of the workshop, you will take away actionable SEO marketing tactics that will enable you to grow your website’s organic traffic and get more sales. This workshop is a collaboration between Ahrefs and Equinet Academy. Rebekah started out as a creative copywriter in global advertising agencies, working on brands like Jaguar and Panadol before going client-side to develop content strategy for Marina Bay Sands and Under Armour. She sincerely understands the pain of trying to sell your boss/team/clients on quality content and SEO, and is glad she ended up where she is now: a Marketing Manager at Ahrefs.